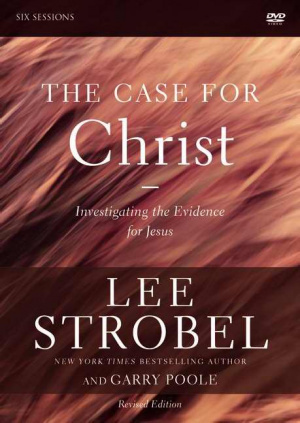 In this six-session DVD study, Lee Strobel uses his experience as a reporter for the Chicago Tribune to interview experts about the evidence for Christ from the fields of science, philosophy, and history. The participant's guide is available separately on ISBN 9780310282822. The Case for Christ DVD by Garry D. Poole; Lee Strobel was published by Zondervan in December 2013 and is our 12904th best seller. The ISBN for The Case for Christ DVD is 9780310698517. Be the first to review The Case for Christ DVD! Got a question? No problem! Just click here to ask us about The Case for Christ DVD. I notice that the participant's guide is sold separately, but does this DVD come with a leader's guide or discussion guide? Can you tell me the running time of the Case for Christ DVDs. Would these be suitable for bright young people aged 14-16? or do you have something else you would recommend for this age group about the Life of Jesus?